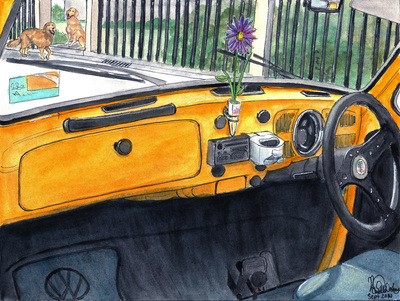 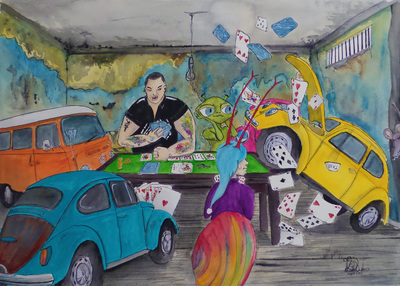 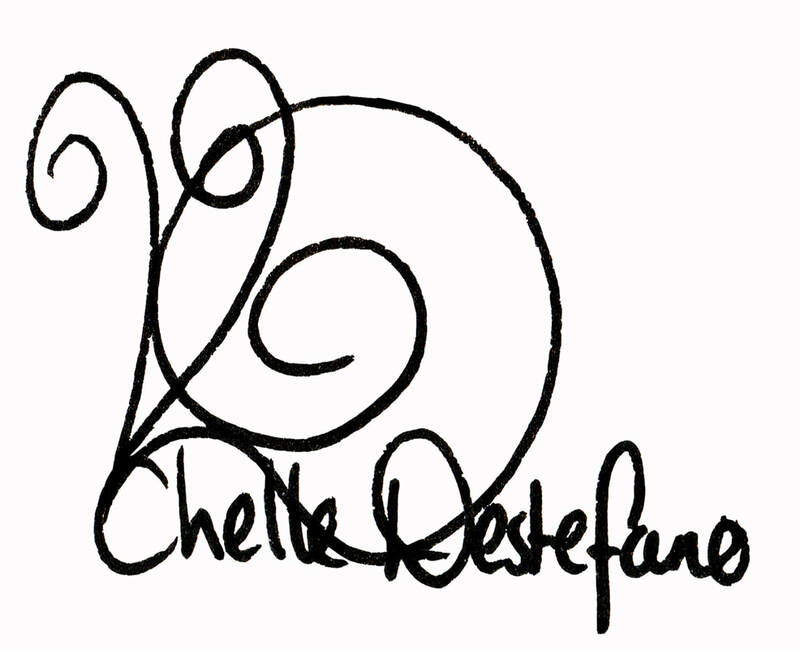 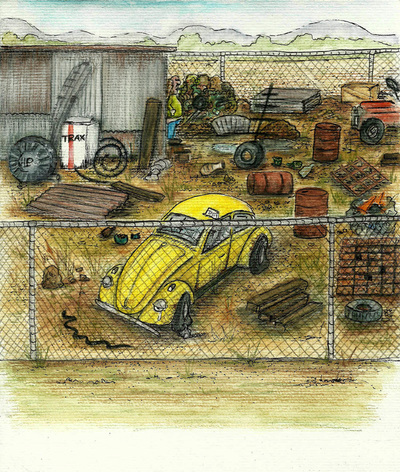 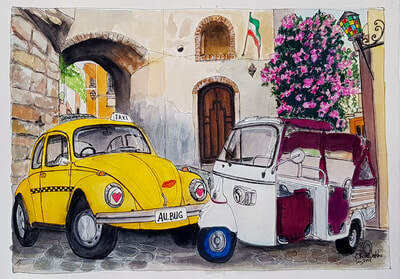 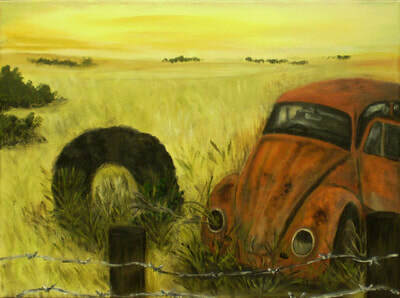 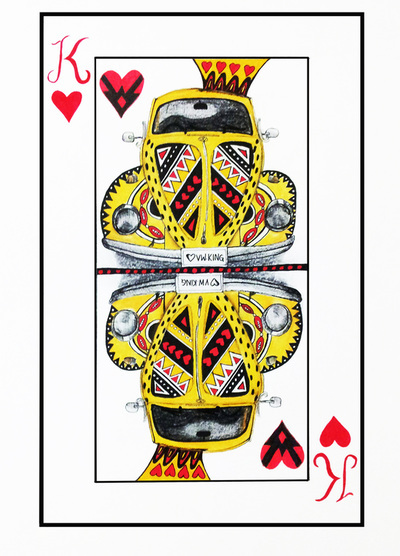 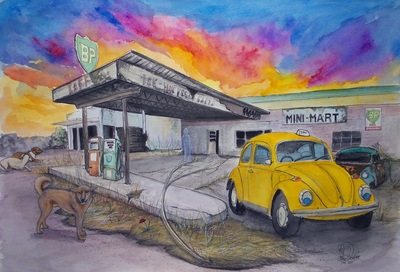 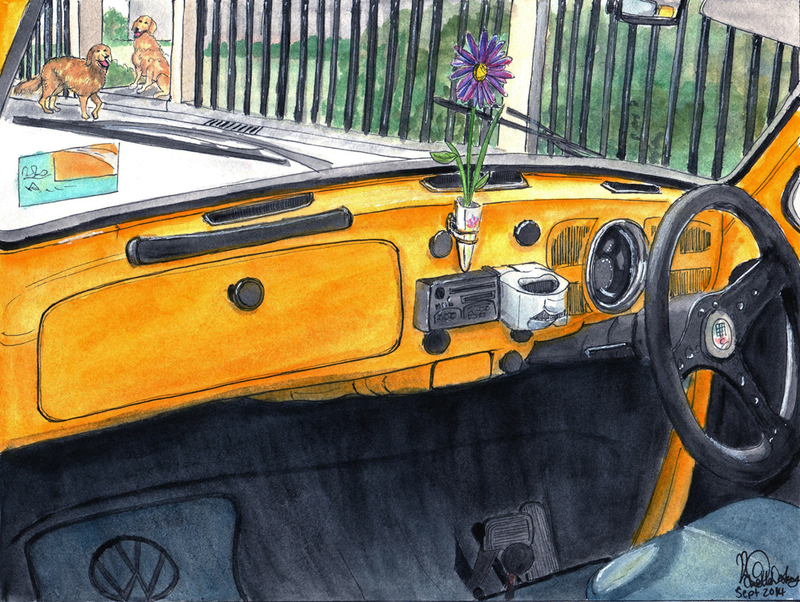 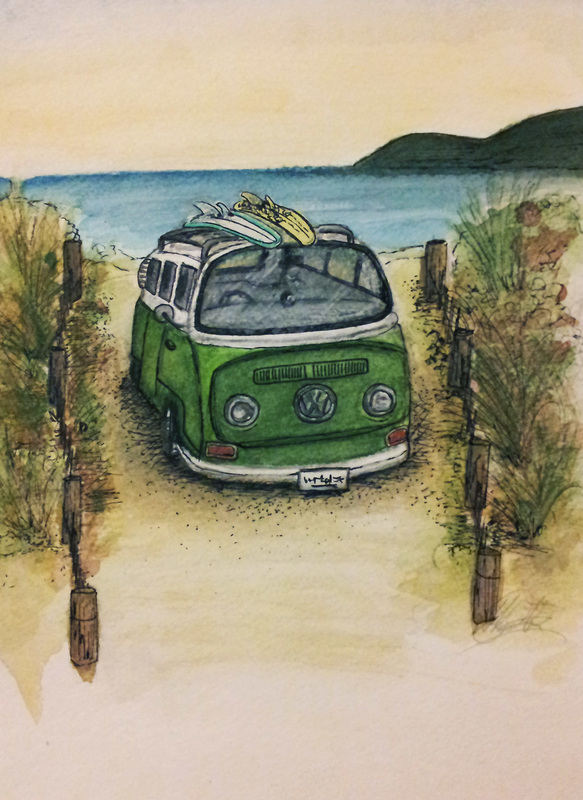 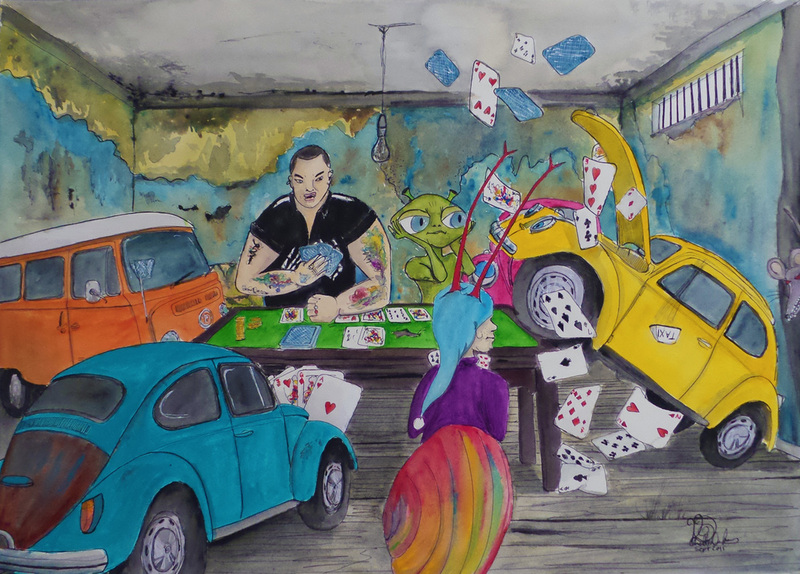 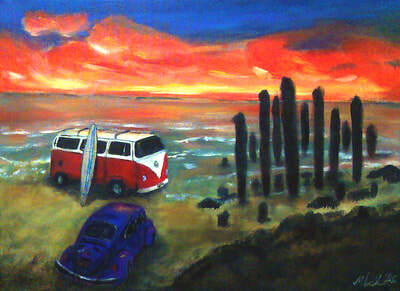 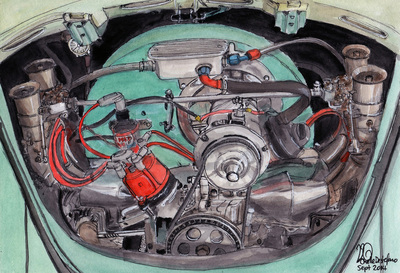 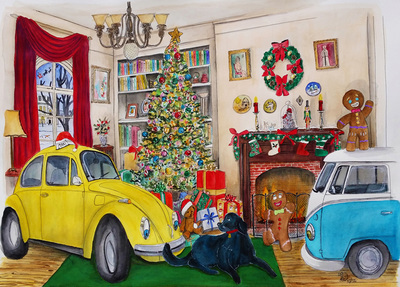 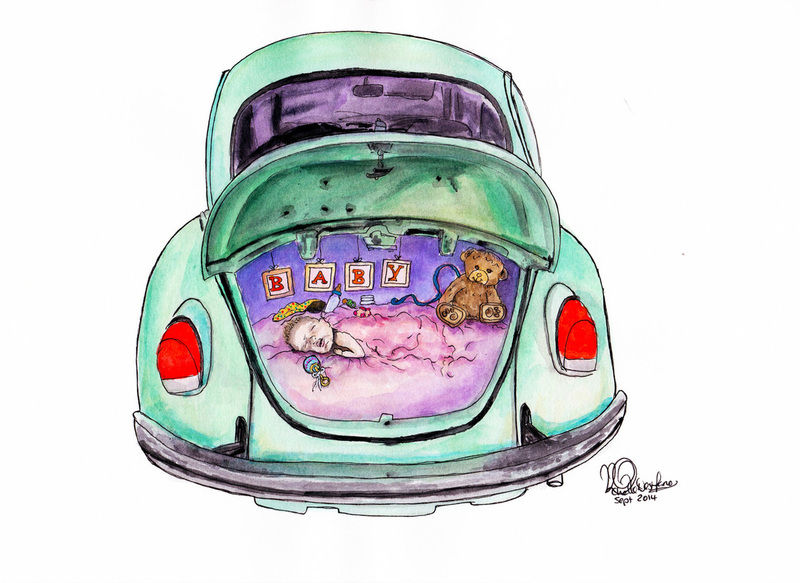 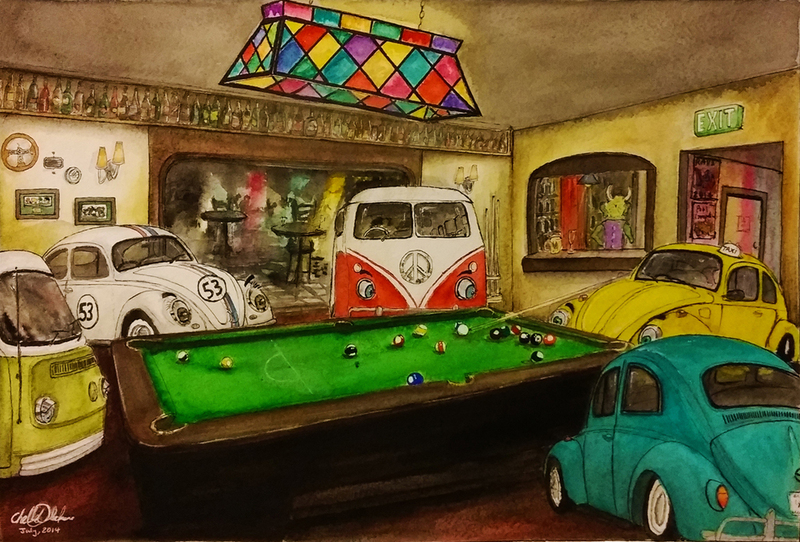 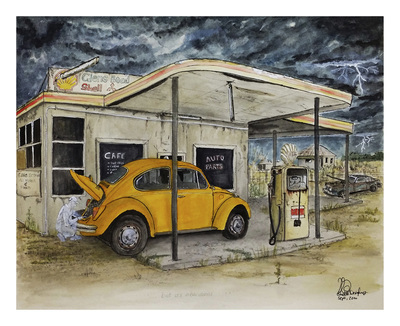 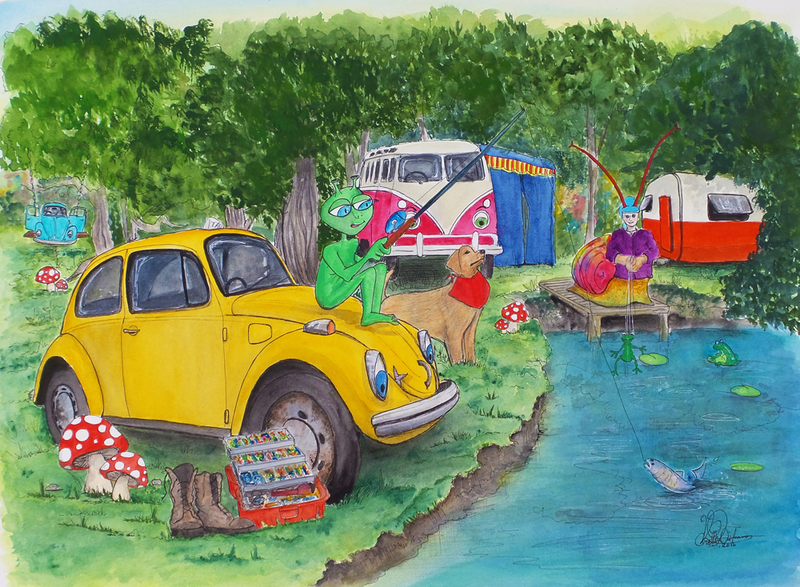 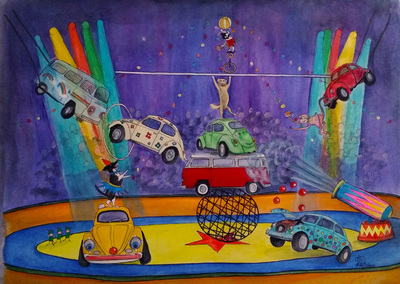 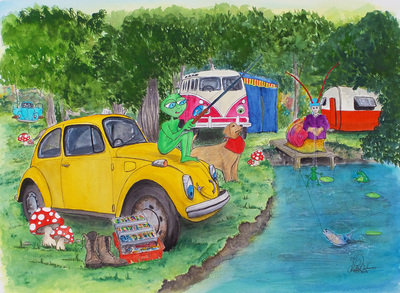 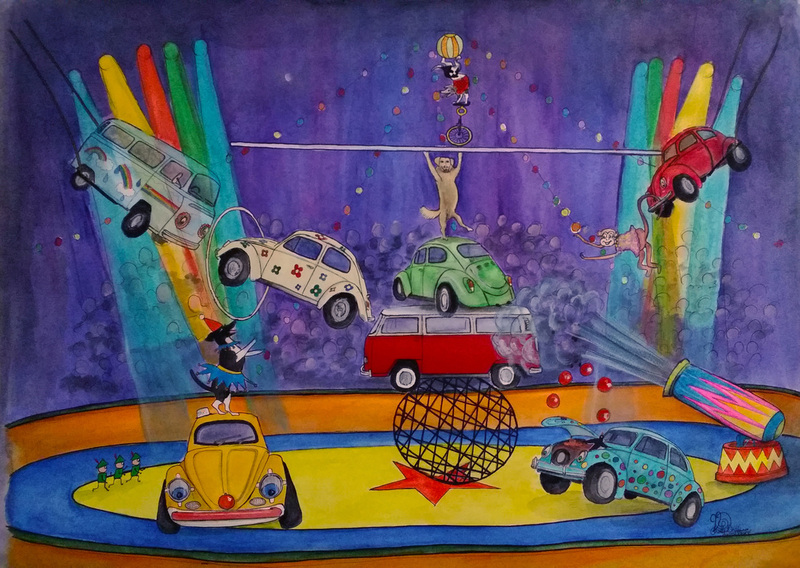 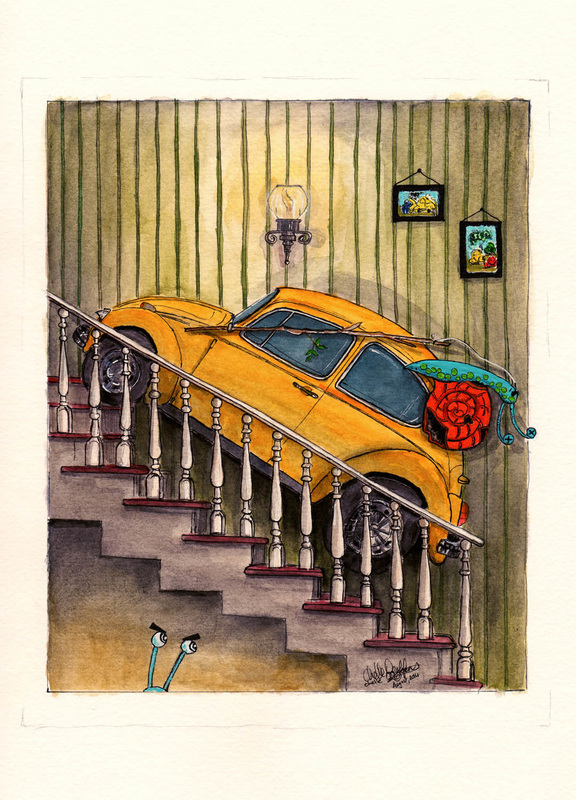 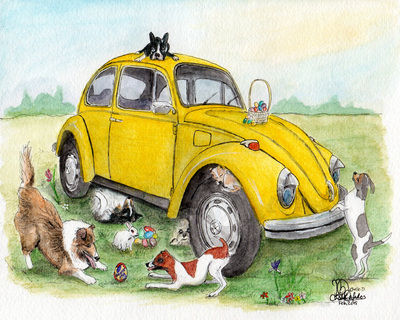 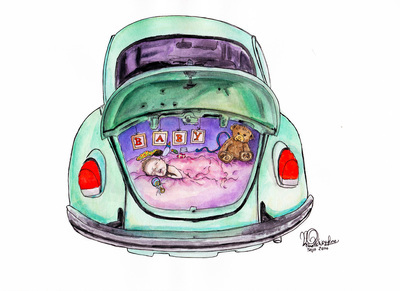 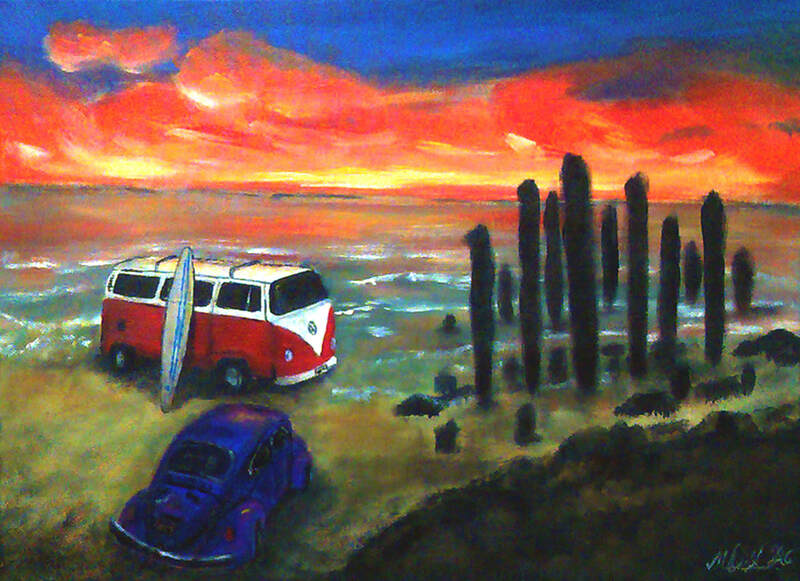 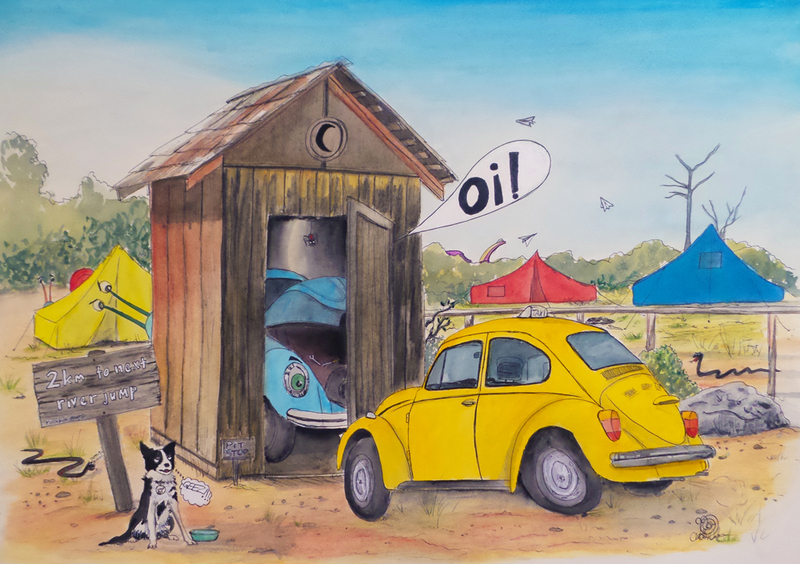 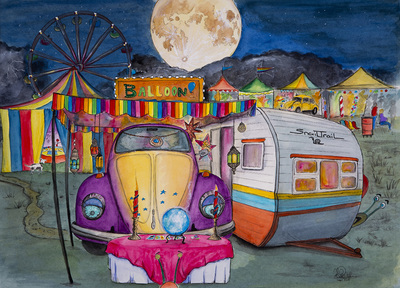 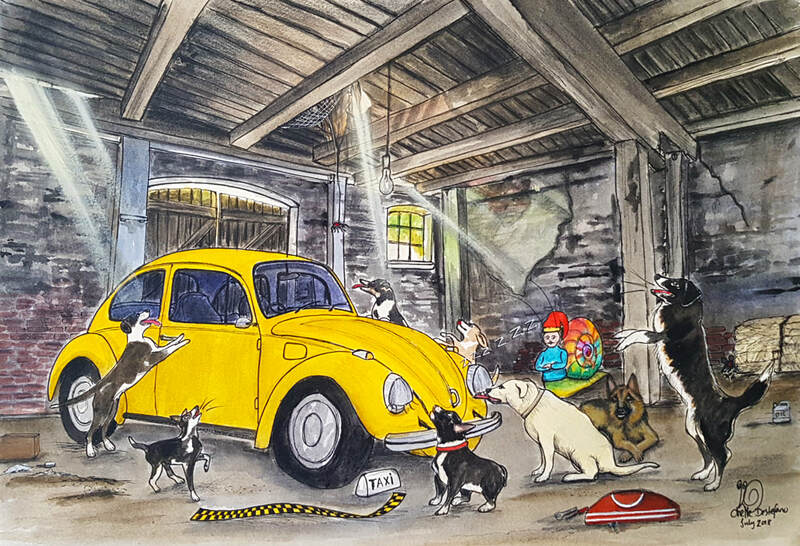 The Volky/Vdub Collection is a lighthearted theme by Chelle Destefano, and each artwork has a story behind them. 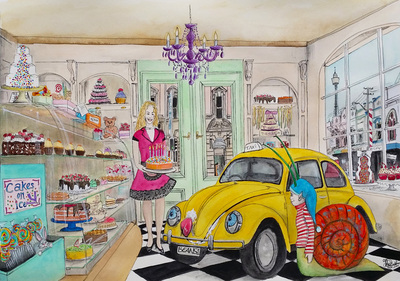 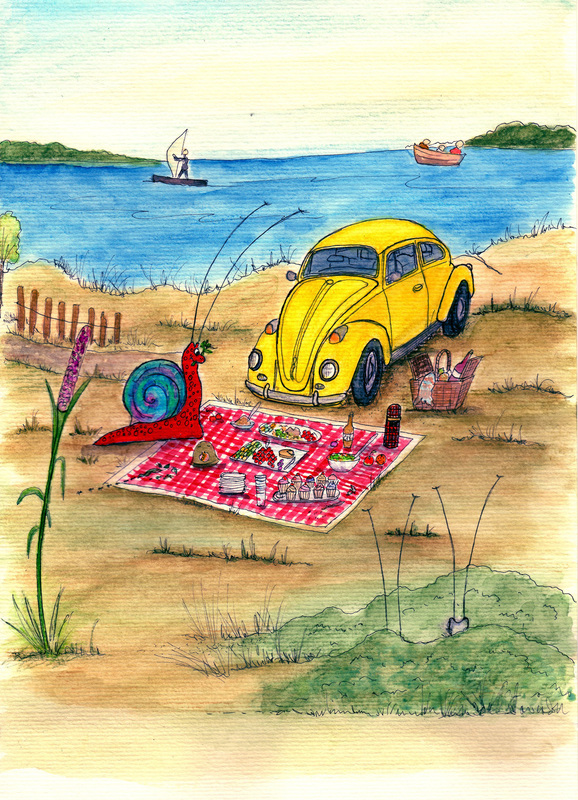 The main star is Taxi the yellow bug and he now has a girlfriend called Jennie Bug who is also a clarivoyant! Look out for Jennie in the various volky artworks.